Byron York of the Washington Examiner was on Bill Bennett's "Morning in America" radio show on Tuesday morning and was questioned about the importance of the Hispanic vote [in light of the immigration bill that is being proposed in congress]. Byron York talked about an article he has in the Washington Examiner now entitled Winning Hispanic Vote Would Not Be Enough For GOP. Mr.York told Bill Bennett that he had come up with some interesting facts. I wouldn't call them interesting, I would call them astonishing. 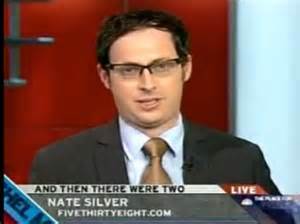 What Mr. York did was go to Nate Silver, the New York Times pollster/statistics guru, and ask him to do a study to find out what the 2012 election results would have been if Mitt Romney had won a bigger portion of the Hispanic vote. He started out with asking him if Romney had won the same portion of the Hispanic vote as George W Bush had won, would Mitt Romney have won the election. He went up from there to see how each scenario would have affected the election. "What if Romney had won 44 percent of the Hispanic vote, the high-water mark for Republicans achieved by George W. Bush in 2004? As it turns out, if Romney had hit that Bush mark, he still would have lost, with 240 electoral votes to 298 for Obama. But what if Romney had been able to make history and attract 50 percent of Hispanic voters? What then? He still would have been beaten, 283 electoral votes to 255. What if Romney had been able to do something absolutely astonishing for a Republican and win 60 percent of the Hispanic vote? He would have lost by the same margin, 283 electoral votes to 255. According to the Times' calculator, Romney would have had to win 73 percent of the Hispanic vote to prevail in 2012." Astonishing! Mitt Romney could have won 70% of the Hispanic vote, and while he would have won the popular vote, he would have still lost the electoral vote and lost the election. The reason for that is because the Hispanic vote is highly concentrated in some of the biggest electoral college vote states, NY, CA, TX, et.al. Because NY and CA are so heavily dominated by the Democrats, even if Romney had won 70% of the Hispanic vote in those states he would have still lost those states. And Texas, because it is a strong Red State, it didn't matter that Romney couldn't win a bigger portion of the Hispanic vote he still won easily there. Increasing Romney's percentage to 70 % of Hispanics would have only increased the margin. So, just taking those 3 states as an example, while you would have had an increase by Mitt Romney in his popular vote, the electoral votes for those 3 states would have remained exactly the same. Bill Bennett, learning that Romney increasing his Hispanic vote in the election wouldn't have made a difference in the election, asked Byron York what would have made a difference? Byron opined that there were millions of middle class white voters that just didn't turn out to vote in the 2008 election because, for whatever reason, Mitt Romney couldn't connect with them. Mitt Romney won a huge portion of the white vote [60%] and if those voters would have shown up at the polls, Mitt Romney would have won the election. The reason their votes would have made the difference while an increase in the percentage of Hispanic voters wouldn't have made a difference is because those white votes are spread out all over the nation and in the states with a close popular vote they would have made the difference in helping Romney win the election. So, and these are my words not Byron York's, it wasn't how the different groups voted, but who came out to vote that made the difference in president Barack Obama's re-election victory in 2012. I think the statistics garnered by Byron York in his great article could have an impact on the immigration bill being proposed by the gang of eight in the Senate. Much of the GOP's desire to immediately pass some immigration bill is fueled by panic. It is a fear that the Hispanic vote is what cost the GOP the election in 2008 and if that is not changed they will never win another national election in the future. This study showed even if the GOP were to increase their portion of the Hispanic vote it will not make a difference in the future if they can not increase the turnout of their base voters. I am not saying an immigration bill should stand or fall on how it will affect elections in the future, but the reality is, that will be a big decider. So, in my opinion, the study initiated by Byron York [that an increase in the Hispanic vote percentage would have not made a difference in the election] will make passage of an immigration bill [that results in amnesty] without securing the border first, almost impossible. I, love Senator Marco Rubio, R-FL, and appreciate his great effort in trying to pass an immigration reform bill, but unless it is clear in the bill that the borders of this country will be secured before any other portion of the bill takes place, I believe the bill will not pass both houses of congress. Everyone please read Byron York's important article in the Washington Examiner here.